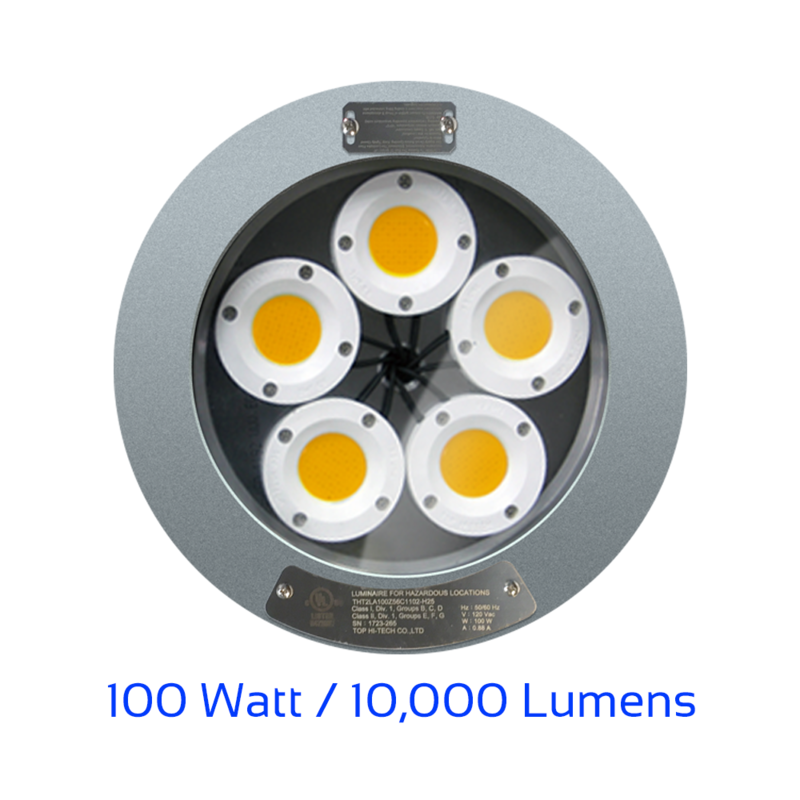 • Three Models: 120, 277 & 480 vAC. 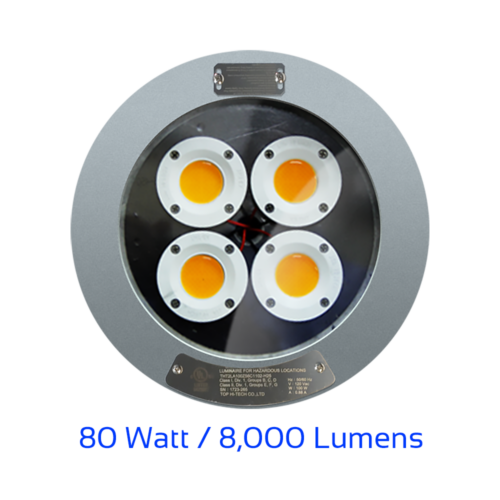 • Capable of operating from -65˚C to 100˚C. 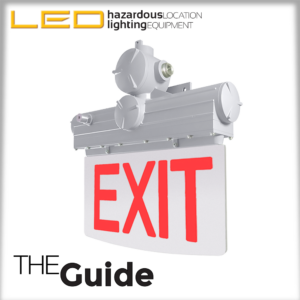 • Die Cast aluminum fixture dissipates heat. • 5000K Standard, 3000K Available. 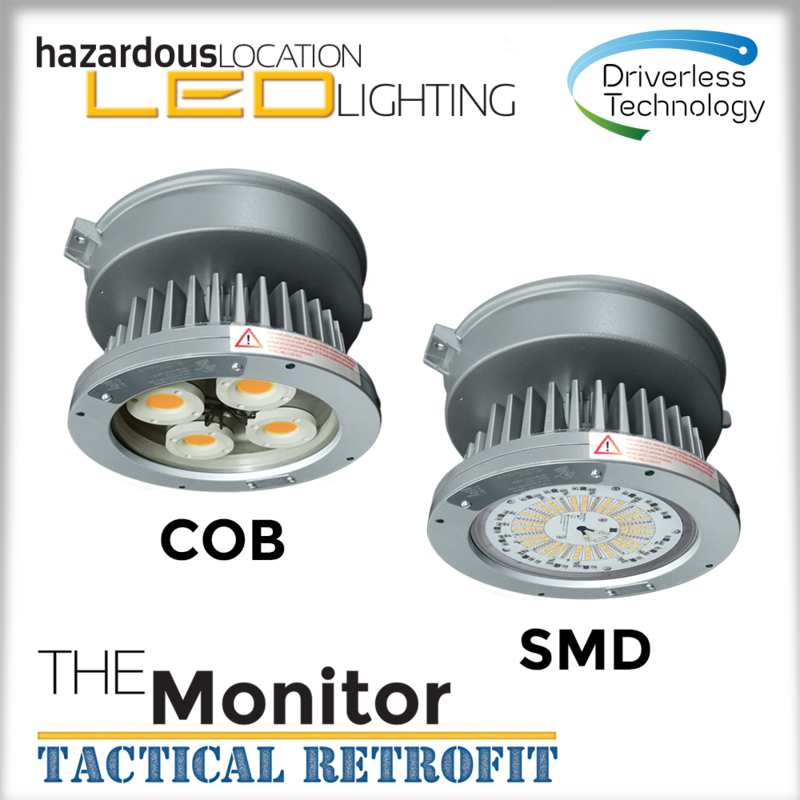 • Reduced maintenance costs (no re-lamping). • Designed to retrofit existing housing. 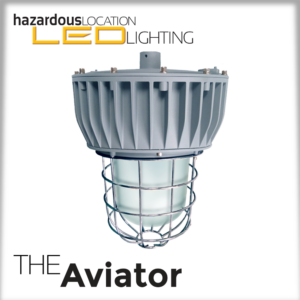 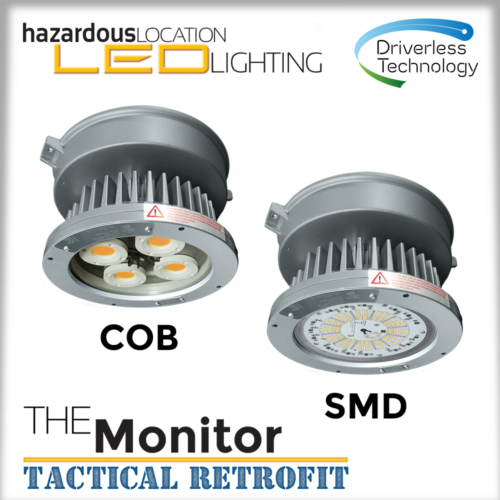 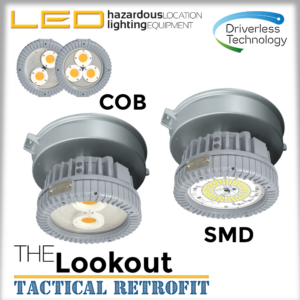 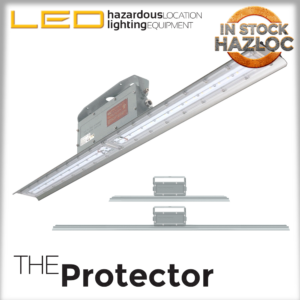 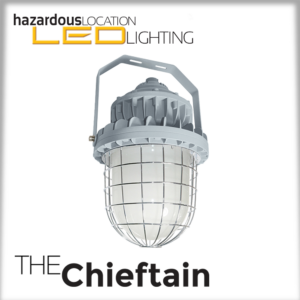 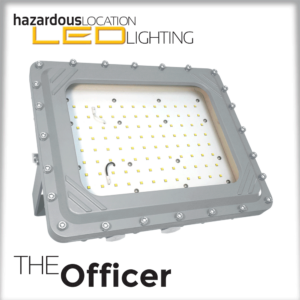 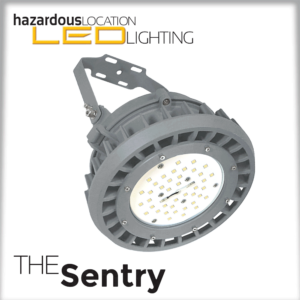 • Improved lighting performance for improved safety. 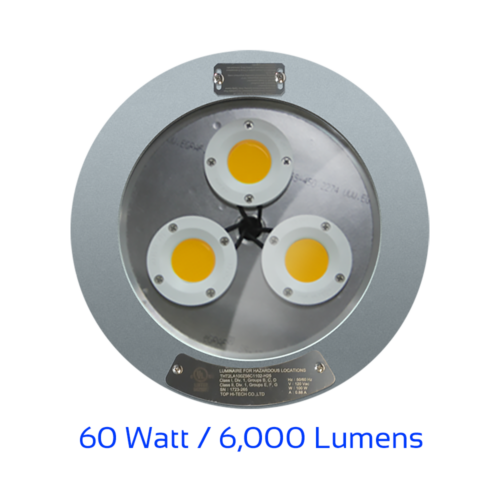 • Instant-on with cold start to -65C. 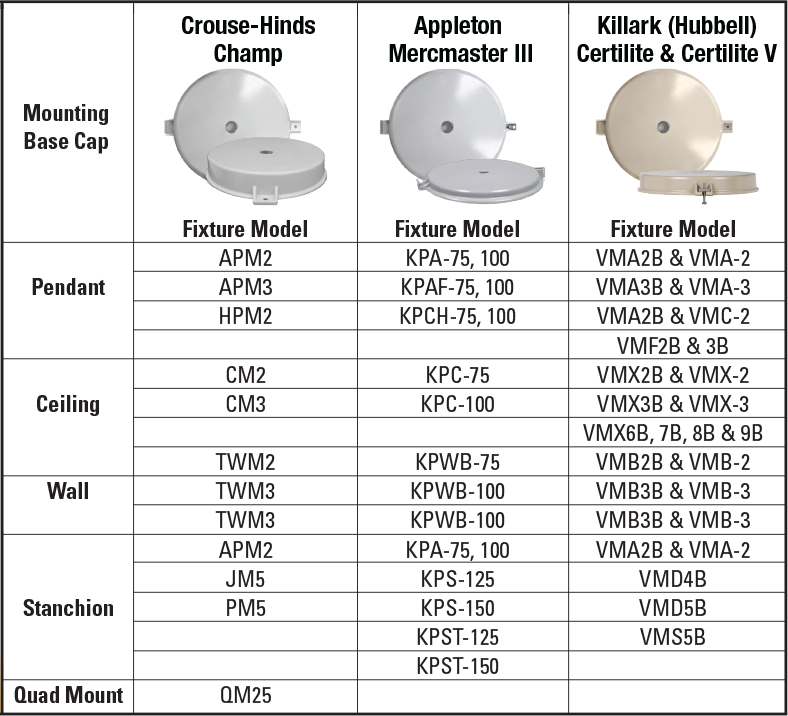 Compare our Hazardous Location products to Crouse-Hinds, Appleton and Hubbell Killark.